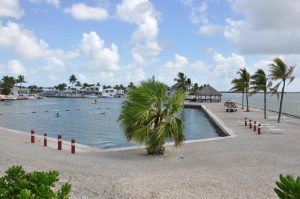 Location is everything in The Keys and Venture Out’s Dolphin House is located at Mile 23, midway between Marathon and Key West. This is the casual vacation cottage you’ve dreamed of. 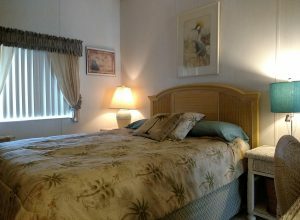 As you open the door you’re treated to the glorious view of the Atlantic waters! This compact and comfortable waterfront cottage is just off the open water, offering you (and your boat if you choose to bring it) protection from winds and chop. Even though there are only a bit over 800 sq. ft. under air, there is a deck of over 200 sq. 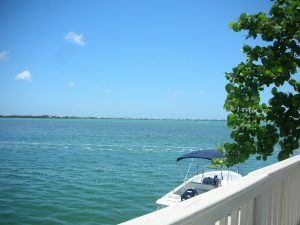 ft. providing great entertainment space and a large area where you can dine, enjoy the sun or the evening breezes or just sit and gaze at the water if you can tear yourself away from your favorite author. 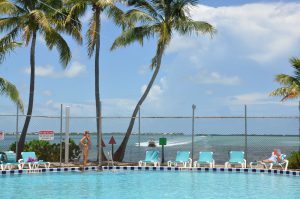 Water lovers can swim right off your 35ft of dock and seawall, in the beautiful protected deep lagoon, or in the huge heated pool. Bring your power or fishing boat, your sailboat, kayaks and paddleboards, snorkels or scuba gear and you’re literally seconds from the open water. At Dolphin House you’ll enjoy superb views, catching sight of the ocean from the Atlantic Ocean from every main room of the house. Every sport on, in or above the water—Fish, Sail, Kayak, Paddleboard, Swim, Snorkel, Dive, Ski, Jetski, Parasail, Windsurf, Skydive, or Relax on your deck or on a beach. The two queen bedrooms and one-and-a-half baths of Dolphin House combine with an open floor plan for privacy. The large modern kitchen makes prep and presentation of your vacation meals anything but a chore. You’ll find all the essentials you expect. There’s even a collection of classic and quirky cookbooks likely to please any chef, either accomplished or newbie. 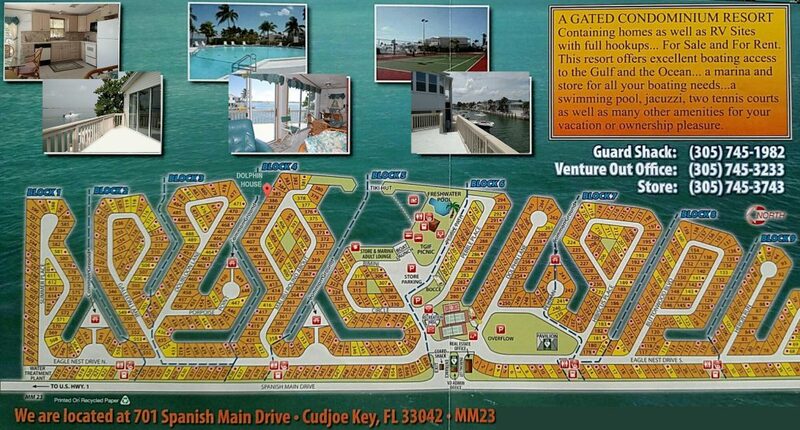 Dishwasher and washer/dryer add to the amenities for the relaxed, easy going lifestyle for which The Keys are famous. Both bedrooms have plenty of closet and storage space. 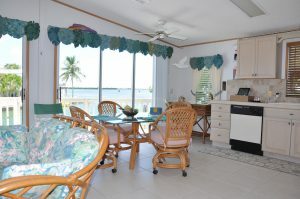 Other important vacation features include central air-conditioning, cool white ceramic tile throughout the entire home, plenty of (mismatched) linens and a variety of beach towels. Two desks and a stand-up workstation give you plenty of options to stay in touch with family, friends or the office. Dolphin House provides your Wifi and a SmartTV provides your television programming— if you have time to watch! 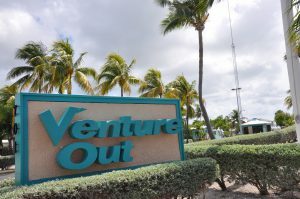 The Venture Out Resort gated community features marina, marine fueling station, boat launch ramps, store, community center, library, and 24-security. Sports enthusiasts will love the large, yearround heated swimming pool, tennis courts, basketball, pickle ball and bocci ball. Please use direct booking to learn more about our property and rates. Contact us using 607-227-2978 or CandeCarroll@gmail.com.